Ann received her bachelor of science degree with a dual emphasis in Deaf Education and Elementary Education from Minot State University in 1988 and her master’s degree in Advanced Studies in Deaf Education, with a focus on Reading Instruction, from Gallaudet University in 1989. She has taught at a bilingual-bicultural deaf charter school, in resource programs, including those using American Sign Language and Cued English as the languages of instruction, and is currently teaching students on an itinerant basis. She has worked with a wide variety of students, including those with languages other than English spoken in the home, developmental and cognitive disabilities, emotional and behavioral disabilities, and deafblindness. Ann has a passion in assisting teams to understand the student who is deaf or hard of hearing, including impact in a variety of social situations and language access to the curriculum. 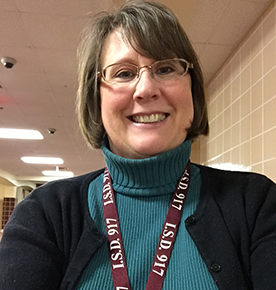 She is particularly passionate about assisting school teams to understand the need for caption/subtitle access to media, including teacher-produced videos. Ann is married to a deaf man who also was mainstreamed growing up, and has four children, one who is deaf and another who is hard of hearing. “Age of Innovation: Impact of Media Barriers to Instructional Access” is a presentation that will address the problem of the significant use of technology during instruction and the impact of inaccurate or unavailable captions or subtitles for students who are deaf or hard of hearing. Anecdotal stories will be shared including successful solutions that have been tried and have increased access for students in the classroom. A teacher-created and YouTube-published video will also be shared. Statistics gathered from member districts in a special education coop/intermediate school district in Minnesota will also be included. Current laws and titles are relevant to this presentation to provide attendants with information to share with their school districts. Let’s share ideas and move the classrooms into increased accessibility mode. 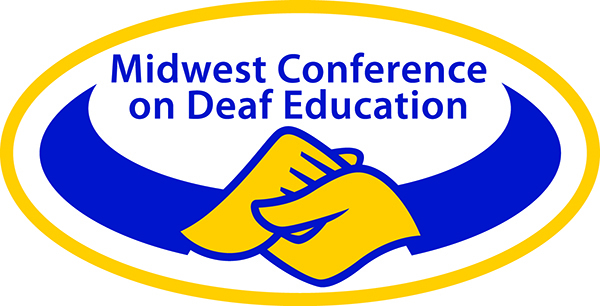 Participants will be able to be able to conduct an in-service, using materials shared during the presentation, to school personnel in regards to the impact of hearing loss in the general education setting and the importance of using closed captions. Participants will be to identify four federal laws that require captions, including examples of web accessibility regulations and cases. Sections 508 and 504 Web Req.